There is no write-up for this waterfall by the World of Waterfalls. Submit your own write-up! It would be possible to devote an entire website to the waterfalls of Lamington National Park in Queensland. One of the more spectacular ones is Coomera Gorge, where Coomera Falls (on the left) and Yarrabilgong falls drop into the headwaters of the Coomera River. 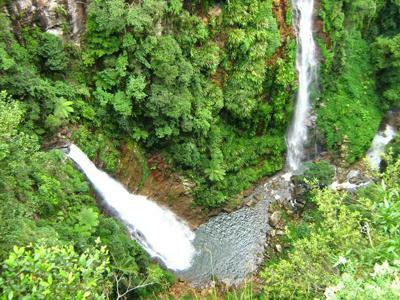 These falls (along with several others) can be accessed from the 17.6km Coomera circuit walk in the Binna Burra section of Lamington National Park.